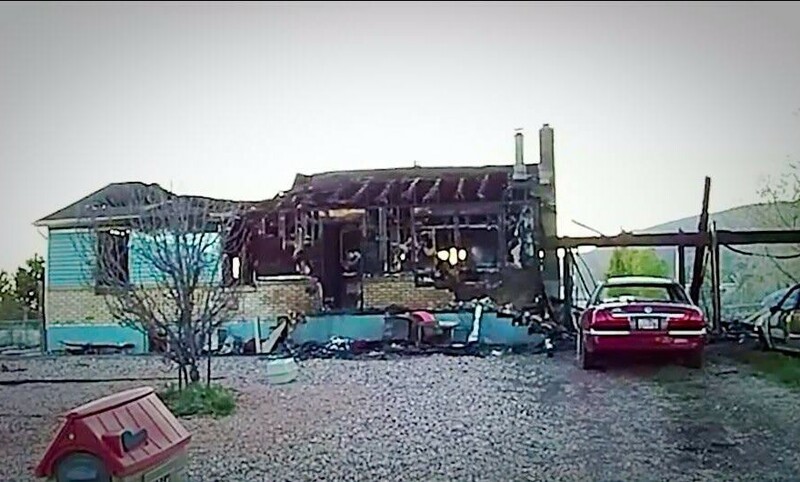 ENOCH – Authorities have released the names of three people who died when a fire ripped through their home at 4568 N. Pioneer Drive, in Enoch City Monday night. The three victims were identified Tuesday morning as 32-year-old Jay Brewington, 46-year-old Cynthia Shaffer, and 70-year-old Frances Brewington. The home reportedly caught fire just before 10:30 p.m. Monday. When the Iron County Sheriff’s Office and Enoch Police first arrived on scene, they attempted entrance into the home, but were unable to enter the residence because the smoke was too dense, Enoch City Manager Rob Dotson said. The Cedar City Fire Department arrived shortly thereafter, Dotson said. Fire crews fought the fire for some time before discovering the bodies of the two women and one man. The fire is believed to have started in electrical wires and cords located in the garage of the home, officials said, which caught other materials ablaze and quickly spread into the home. Man are smoke detectors important. Thoughts are with the family.